The Jackaroo Kit is the latest mod from Vandy Vape. Similar to Geekvape’s Aegis line of mods, the Jackaroo is built to withstand a beating. It’s got an IP67 water and dust resistance rating and features a rugged rubberized body for extreme drop protection. It uses a single 2×700 battery to function and brings power, voltage, bypass and even temperature control modes. It also has a full color screen with a customizable menu. It seems like Vandy Vape are trying to dethrone the Aegis as the best indestructible mod — and they may have just done it. Let’s get into our Jackaroo Kit Review. The Jackaroo is Vandy Vape’s latest mod. My first impressions of the device are pretty positive. It features a rugged shockproof chassis that comes with either G10 or resin panels. It’s a solid mod that is well-built and very comfortable to hold. It’s also IP67 waterproof and dustproof, which should mean that it can withstand being underwater for up to 30 minutes — we’ll see how this holds up a little later. The Jackaroo is powered by a single 21700 or 20700 battery. However, it can also be used with an 18650 battery by using the included adapter. The mod will fire at up to 100W and brings a full set of modes and features to the table. The Kit comes with the Jackaroo sub-ohm tank. It’s a 26mm diameter tank that uses two different mesh coils (included with the kit) and comes with both a 3.5ml standard glass as well as a 5ml capacity bubble glass. The Jackaroo is larger than your average single battery box mod. It’s about the same height and size as most dual battery mods like the Voopoo Drag 2, and also nearly just as heavy. Covering almost the entire mod is a very squishy rubber-like outer skin made of silica gel. This gel forms a comfortable grip on the back end of the mod and the edges are all rounded for additional comfort. This mod really feels like it will hold up to some heavy abuse but I’m still going to test it to find out for sure. 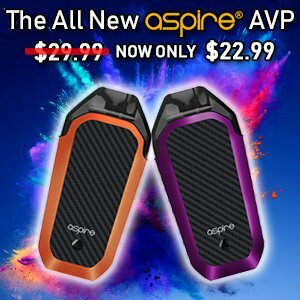 For colors, the actual rubberized exterior of the mod only comes in black but you can get the Jackaroo with ten different panels. There are six options with G10 panels and four with resin panels. These panels are removable so you’ll most likely be able to buy different colors and swap them out in the future. However, as of the time of writing this article, Vandy Vape are not selling the panels individually. The top of the Jackaroo is quite wide and can fit atomizers up to 26mm in diameter without overhang. It’s got a spring-loaded 510 connector that isn’t centered, but I actually think that it looks better this way. Opposite the 510 are some venting holes for the battery. These are sealed from the outside and will only pop open if your battery vents, thus keeping the waterproofing intact. There are three buttons on the Jackaroo: a large circular firing button and two smaller adjustment buttons. The fire button is nicely size and well positioned, as are the adjustment buttons. They all work with a satisfying click and take enough pressure to press, so they won’t accidentally be pushed in your pocket. I did notice that the fire button spins, but it only does so if you try to spin it. Not a big deal, I just hope that it doesn’t get looser over time. The screen on the mod is a full color screen and is a standard size at 0.91inches. It’s bright, clear and easy to read. The brightness can also be adjusted from the menu and the screen gets very bright on the max setting. I had no problems using this mod outdoors — not something that can be said about all mods. The screen is recessed a bit behind a plastic cover and this should prevent any water from getting in while also adding to its impact resistance. Also, there is a micro-USB port for firmware updates that is hidden just under the adjustment buttons, behind the front plate. You just have to remove the four torx screws from around the buttons to access it. I’ll admit that this is a bit weird, but it’s definitely done this way for the water/dust/shock proofing. The bottom of the Jackaroo has a silver coated, threaded cap that seals in the battery. As I mentioned earlier, the Jackaroo will function with either a single 21700, 20700, or 18650 battery if you use the included adapter. There’s a little hinge that pops up to let you more easily unscrew the battery door. This hinge has two quite sharp and pointy edges so you have to be a bit careful when opening the battery door. Vandy Vape should of dulled these out so it’s a con here for me. The Jackaroo sub-ohm tank is 26mm in diameter and comes with a 3.5ml straight glass as well as a 5ml capacity bubble glass. The straight glass is recessed a bit to prevent it from breaking during a fall, but I still don’t think it will help very much. The drip tip matches the panels on the Jackaroo mod and they go together very well. It’s a wide 510 drip tip that is compatible with other 510s. I liked how it looked and vaped but you can swap it out if you don’t. Unlike most other sub-ohm tanks these days the Jackaroo tank does not use a push-to-fill system. Instead, the top cap comes off with a quarter turn counter-clockwise. At first I was worried about this, but the top cap goes on very tight and snug. After using the tank for a while, it never came loose in my pocket. There’s a small lip around the fill port, as well as a silicone seal on underside of the top cap. These work together to stop any leaking. The two bottom airflow slots on the Jackaroo tank are super wide and fully adjustable. You can have it fully open for an airy draw or you can restrict it down for a tight lung hit. I never had any problems with leaking from the airflow holes or the top cap. You get one 0.15ohm coil and one 0.3ohm coil with the Jackaroo. The 0.15ohm coil is a fine mesh coil rated for 50-90W. The 0.3ohm coil is rated for 40-60W with mesh that is slightly more spaced apart. I wouldn’t call these ‘true mesh’ coils as they are a bit different than what you would typically see. We’ll see how they perform a bit later. The Jackaroo is powered by the Vandy chip and will fire at up to 100W. You get a full set of modes which are: power mode, bypass mode, voltage mode, wattage curve mode, temperature curve mode and temperature control modes. There’s also TCR, but it functions a bit differently than you might be used to. On the Jackaroo mod, TCR is set per-material. All-in-all, you get all the modes you could want with this mod — and then some. In power mode the UI displays your current voltage, coil resistance, wattage, a puff counter, puff time and your battery charge level. Design-wise it’s a bit older looking, but it relays all the information you could need. The menu system on the Jackaroo is just like the one on the Pulse Dual 220W and gives you the option of turning off modes you don’t use. You can also change the color of the UI from this menu, as well as perform a factory reset. It’s not the easiest menu to navigate but it does get the job done (albeit with a little frustration). Turn the device on/off: Click the fire button five times. Switch Modes: Click the fire button three times, then use the adjustment buttons to scroll through the modes. Press the fire button to select your desired mode. Menu & Settings: Hold the + and – adjustment buttons. This will bring you into the first menu. From here, select the first option to enable or disable modes. There’s also your curves, brightness adjustment and firmware/hardware versions. Lock Device: Hold the + adjustment button and power button. In the menu you can toggle the “FIR” option to lock or unlock the fire button as well. 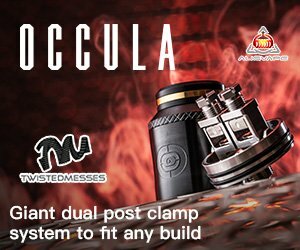 Reassess Coil Resistance: Click the + and – adjustment buttons twice. This will re-read your coil and is useful if your resistance isn’t reading correctly. Change Wattage in TC Mode: Click the fire button four times. The Jackaroo mod is rated as IP67 water, dust, and shock resistant. This means it should be able to withstand being immersed in up to a meter of water for up to 30 minutes. It should also be able to withstand being dropped and tossed around without any ill-effects. I tested both. I dropped the Jackaroo mod (no tank of course!) into about a meter of cold water for about 20 minutes. I left the device on with the battery installed to closely simulate a real life situation like dropping it into a pool or puddle. After taking the device out it was still powered on and functioning as if nothing had ever happened. There was some water in and around the side panels and also behind the front panel where the screen is. But these are both sealed off from the internals of the device and water didn’t go any farther into the mod. As I mentioned, you can remove the front panel by taking off the four torx screws, and this is exactly what I did. After wiping off the little bit of water from behind the panels the device looked and worked as good as new. The water test is definitely a pass. As for durability testing, I tossed the device around (again with no tank!) and let it hit the pavement from varying heights. I didn’t want to mess up such a nice looking mod — but someone has got to do these tests! After each drop I checked the make sure that the device was still functioning by reattaching the tank and taking a few draws. But even after some serious impacts the Jackaroo vaped perfectly after each drop. Physically, the device looked a bit worse for wear but it worked as if nothing had happened. The rubberized exterior got scuffed and scratched and even lost a few chunks. The panels on the sides of the device got pretty beat up as well. They were pretty scraped and beat up after the drops but this didn’t affect the mod functioning at all. Even the screen still works perfectly. I give the Jackaroo a solid pass on the drop tests. My experience with the Jackaroo kit has been pretty mixed. The mod is great, but the tank is mediocre. The Jackaroo mod delivers great performance in power mode all the way up to 100W and this is mainly the mode that I used. I tested the kit as a whole using the Jackaroo sub-ohm tank and both mesh coils, but I also tested the mod using a few different atomizers. In Power mode the Jackaroo mod was very consistent and it felt like it was outputting the correct wattage. At 100W it felt like it was delivering 100W of power and the draw never got too much weaker — even as the battery died. Temperature control mode with this mod was pretty lackluster. The vape felt like it was much cooler than it should of been at 450 and I had to turn it up to 500 in order to get a warm hit. I also found that it didn’t throttle down correctly and I was on the verge of getting dry hits at times. Overall, not a mod I would recommend if you’re into temp control. The flavor wasn’t as good as I expected using the 0.15ohm coil, but it wasn’t bad by any means. I found it to vape best at around 75W and I ended up closing off the airflow a little more than halfway in order to get a dense, warm hit. The flavor just isn’t as crisp or tasty as with some other mesh tanks that I’ve used, but it’s still better than your average tank. The 0.3ohm coil seemed to vape best at around 55-60W but I found the flavor to be slightly worse than with the other coil. I got the best hits with the airflow closed nearly all the way and this coil ended up giving me better battery life too. I still had to recharge my battery by the end of the day but it definitely lasted longer than with the 0.15ohm coil. Taking all factors into account, the Jackaroo is an excellent vape mod. It’s the only 21700/20700 ruggedized mod on the market and it will withstand some pretty intense abuse, including large drops and water immersion. I also think it’s a better heavy-duty mod than the Aegis Legend and I like the form factor a little better, too. Wattage mode performance is accurate and provides a great vaping experience but I would suggest using a different tank than the one included with the kit; picking up just the mod might be the best idea. If you’re heavy into temperature control I wouldn’t suggest this mod, but otherwise it’s great. What are your thoughts on this mod/kit? Let me know in the comments! I started vaping in 2013, determined to quit smoking because I knew it was a terrible habit. Many hard years later, I'm smoke-free and feeling better than ever! I love trying as many different tanks, mods, and ejuices as I can get my hands on, but I love sharing my experiences and honest opinions even more! When I'm not reviewing, researching, or writing, you can find me watching tennis, tinkering with coils, or playing with my two mischievous cats.